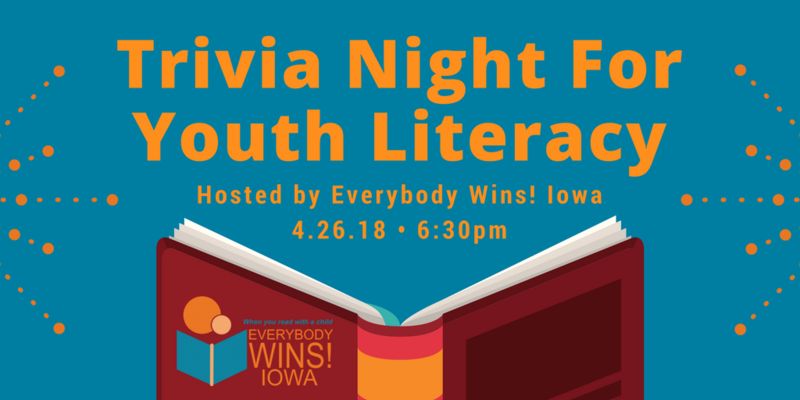 Come out and play some trivia while supporting a great cause — youth literacy. Everybody Wins! Iowa’s 3rd annual trivia night will be held at Noce on Thursday, April 26. Doors open at 6:30 and trivia will start at 7:00. A cash bar will be open courtesy of Noce and snacks will be provided. A silent auction will be held on-site to benefit Everybody Wins! Iowa. TICKETS: There is no need to print a paper ticket as your name will be on the list of attendees at the event entrance when your purchase your ticket online. Please be sure to bring a valid photo ID. TEAM REGISTRATION: Save the time and hassle of having to register your team at the event by registering ahead of time. 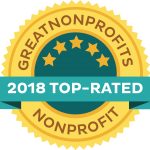 Send your team name and participants by e-mail to Jordan at outreach@everybodywinsiowa.org. Don’t worry, you can always change your team information before the start of the event. PARKING: On-street parking will be available throughout the neighborhood. The venue is also located just a block down from the Nationwide parking garage at 12th and Walnut. The garage will be open to the public. All proceeds from this event will benefit Everybody Wins! Iowa.